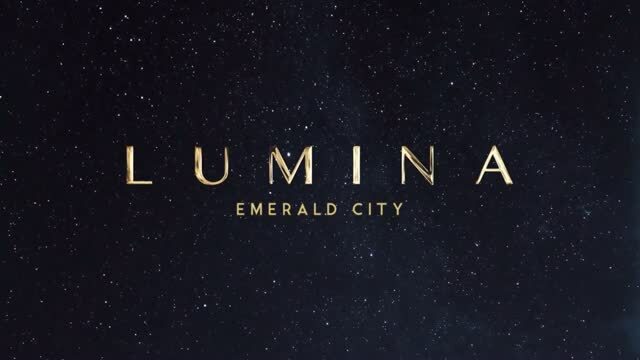 Lumina is the ultimate reflection of the thriving community in which it resides—a haven that embodies Emerald City’s vivacity with a modernist fusion of technical design and a unique sense of space. The planned thirteen-storey Tower and seven-storey Oasis Suites are nestled amid a vibrant neighbourhood, threaded within the lush landscaping. Lumina’s distinct design complements the sophistication of the area with architectural intent. Lumina perfects the balance between privacy and community, remaining grounded and offering the epitome of tranquility and ease. The building’s diverse external finishes and a variegated palette of materiality and colouration create a rhythmic sense of dynamic interplay, giving each a unique aesthetic quality. Spectacular yet modest, Lumina is distinct from its Emerald City neighbours – Lumina positively shines. Where style is always on point. Lumina is the final phase of Elad Canada's master-planned community: Emerald City, which is said to contain more than 8,000 residential units. Each Lumina unit will comprise approximately 9-foot ceilings with modern finishes throughout. Lumina Condos includes impressive Biyu amenities such as indoor swimming pool and hot tub, equipped fitness room with cardio and weights, private dining room and lounge with access to the outdoor terrace, screening room, multi-purpose game room, terrace with comfortable lounge seating, barbeque area and a guest suite. Lumina condominiums are close to highways 401 and 404, walking distance to the TTC - Don Mills Subway Station at Fairview Mall is just minutes away, there are many schools in the area, Fairview Mall is just steps away with over 200 shops, restaurants and services available. The condos are close to many local parks and trails for you to walk and enjoy. This development has received a transit score of 85/100. There are many Public Transit options near this development. Traveling the city, going to and from work or just some daily errands are made easy when living at Lumina Condos. Lumina at Emerald City Condos is your final opportunity to own a new condominium in the vibrant Emerald City. Perched on one of North York’s highest elevations, is a brilliant and evolving community. Located at Sheppard and Don Mills, many restaurants are located near this development, and some include, Uptown Tiffins, Iqbal Kebab & Sweet Centre, Captain’s Catch, Sashimi House, Lara’s, Beiruti Grand Cafe, Moxie’s Grill and Bar, and Hero Certified Burgers. Some nearby attractions include the Aga Khan Museum, North York Civic Centre, Oakdale Golf Country Club and Silvercity Fairview Cinemas. Living in Lumina at Emerald City condo will give you all sorts of choice when it comes to having quality time. Fairview Mall is only a few steps away has almost 200 stores with an incredible selection of big-brand retailers, luxury labels, sought-after designers and everything else you could ask for in a neighbourhood. Fairview Mall isn't just a shopping centre for clothing and accessories; it is much more. Within the mall are an LCBO and movie theatre. Whether you plan to go shopping or catch the latest movies in theatres, Fairview has it all. Nearby parks include Parkway Forest, Havenbrook Park, Betty Sutherland and Shaughnessy Public School Park. Since its inception in 1997, Elad Canada has pursued an aggressive growth strategy in central Canada acquiring income producing properties from various asset classifications as well as development sites, resulting in a portfolio of approximately 5.9 million square feet of commercial space and approximately 17,000 apartments and seniors’ units by 2008. In recent years, the company has shifted its focus from income producing properties to development sites, specializing in mid- and high-rise condominium development and master planned communities. Best known for its visionary approach at the award winning Emerald City master planned community in Toronto, the Cité Nature condominium development next to the Olympic Village pyramids and the redevelopment of the historic Nordelec building in Montreal, Elad Canada leads the way with innovative development projects. Founded in 1992, Elad Group is a real estate conglomerate with development projects spanning three continents. The group has developed successful condominiums, hotels and mixed-use projects making its mark as a significant developer of ultra-luxury properties in New York City. Elad Group is focused on the acquisition, development and conversion of architecturally significant residential and commercial properties in key markets throughout North America. WZMH Architects is an award-winning international architectural partnership. WZMH believes in a collaborative approach to all assignments, with all project participants working closely together in order to achieve a common goal: the delivery of the project to meet or exceed the expectations of the client. The firm’s expertise encompasses all aspects of the architectural process, from master planning, site evaluation and feasibility studies, through the design and construction documentation phases, to the final selection of finishes and fittings for building interiors. The firm’s experience includes significant institutional and corporate projects, courthouse design, hotel and conference facilities, data centres, retail and office developments, resort and entertainment complexes, educational and residential buildings, as well as a number of major master plan studies. In recent years, the firm has successfully incorporated sustainable principles into the majority of its projects, is currently involved in the LEED certification of over five million square feet of built space and has received numerous domestic and international LEED awards. At WZMH, we recognize that the final built form must achieve a balance between the practical and the aesthetic: that good design goes beyond superficial appearance and informs all aspects of achieving a built solution that is tailored to the intended use.